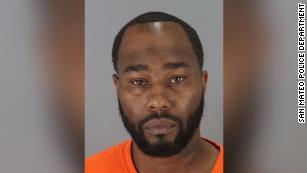 (CNN)Police in San Mateo, California, have arrested an Uber driver who they say took his riders to the airport and then drove back to their home and tried to break in.The passengers had reportedly rented the house through Airbnb.Surveillance footage from a doorbell camera showed a man approaching the front door on Thursday and then walking away from the house. Police say he was chased off when the security alarm went off.The man was then caught on camera breaking into another home a few blocks away. The house was ransacked and a number of items were stolen.”(He’d) torn apart the whole house, tossed everything. Every piece of furniture moved. He opened my safe,” Scott, who lives in the house with his girlfriend, Chana, told CNN affiliate KGO. They asked the station to only identify them by their first names. Why it’s so hard to give up ridesharingChana told KGO that the man spent four hours ransacking the home and was seen on video taking bag after bag of valuables — including heirlooms her grandmother had saved during the Holocaust.Scott posted video of the burglary online and the other homeowner saw it and showed it to his former guests. They recognized him as their Uber driver.The next day, police were able to use that information to arrest Jackie Gordon Wilson, 38, at a home in Rancho Cordova, near Sacramento. They say some of the stolen property was found in the home and he had on the same clothes he was seen wearing in the videos.Wilson was charged with first degree burglary, attempted first degree burglary, and resisting arrest. CNN was unable to reach an attorney for Wilson for comment.”We removed the driver’s access to the app as soon as we were made aware of the allegations and stand ready to assist police in their investigation,” Andrew Hasbun, Uber communications manager, told CNN in a statement. Think you know how to Uber and Lyft? 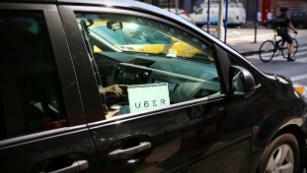 Make sure you’re aware of these safety tipsThe incident comes as ride-hailing services such as Uber and Lyft are facing intense questions about the security of their customers. University of South Carolina student Samantha Josephson was killed last month after mistakenly getting into a car that she thought was her Uber ride. Uber said in a statement it was devastated about the “unspeakable crime,” and that it’s working with the university to “raise awareness on college campuses nationwide about this incredibly important issue.”Uber said it plans to launch a “Check Your Ride” passenger awareness campaign on social media in the upcoming weeks and will purchase advertisements in college newspapers. 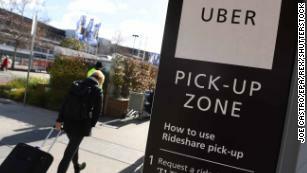 A lawsuit filed in Los Angeles on Friday alleges that Uber did not do enough to warn womenabout a series of rapes by fake Uber drivers.The company said it a statement it has been “working with local law enforcement, including the LAPD, to educate the public about how to avoid fake rideshare drivers for several years. In 2017, we launched a national campaign to remind riders to make sure they get in the right car by checking the information, like the license plate and car make and model, shown in the app.